Syria’s White Helmets have been making headlines as ‘Heroes of Peace’, with the MSM, politicians and Hollywood stars saying the rescue group is worthy of the Nobel Peace Prize. The ‘Helmets’ say they’re independent, impartial and unsullied by Western cash. A petition in support of the White Helmets receiving the 2016 Nobel Peace Prize collected more than 300,000 signatures, but didn’t help the group take home the coveted trophy. The White Helmets, also known as the Syrian Civil Defense, who rescue civilian victims of bombardments, largely operate in rebel-held areas. “The White Helmets wake up every day to save the lives others are trying so hard to take. These volunteer rescue workers have saved 62,000 lives in Syria and for that, they are under constant attack, unarmed and impartial,” the rescue group’s Nobel page says. They claim to be first responders. Fire-fighters, medics, rescuers. 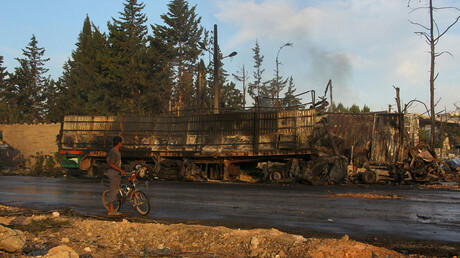 They operate, exclusively in Syria’s rebel and Islamist territories. 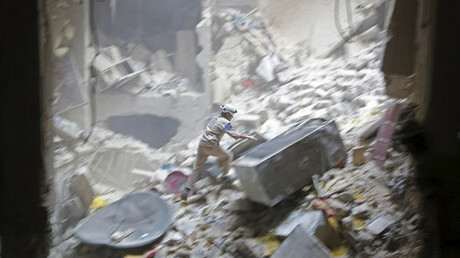 “They are fantastically brave, these White Helmets. I’m proud to say we’re giving them I think £32 million [US$39.78 million] funding as part of a wider £65 million package for a non-humanitarian aid,” British Foreign Secretary Boris Johnson said. They also claim to be Syria’s civil defense network. In fact, they are not. “The White Helmets are not even civil defense concretely. 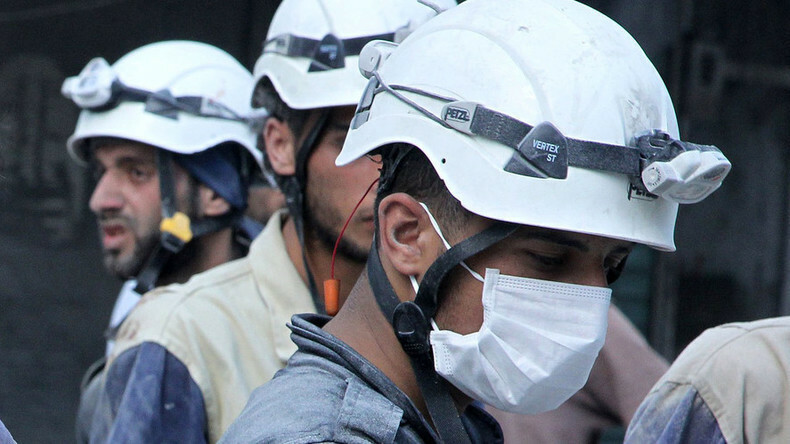 We are working in the field and only with official governments… Not the White Helmets,” International Civil Defense Organization in Geneva said in a statement. Members of the White Helmets are often the first to take photos and videos from the scene of destruction. Not everyone in the West looks at the rescue group’s activities through rose-tinted glasses either. “This aid group, the White Helmets, is a UK/US-funded organization that does a lot of good work in Syria; it works in the rebel-held and largely in the Al-Nusra [Front]-held areas. But it also has a secondary – or, as many people would argue – primary function that it provides an almost continuous commentary of anti-Assad messages,” Daniel McAdams, executive director at the Ron Paul Institute, told RT late last month. The rescue group has repeatedly claimed to be independent of their anti-Assad sponsors, roots and overlords, saying they are unsullied by Western cash. The White Helmets can’t be independent by definition, Hayak told RT. “Any NGO can’t be independent, because independent people can take [their own] decisions, and nobody there can take decisions, except Al-Nusra [Front],” because they have weapons, he said.